A couple days ago we gave you a nice little piece by piece for when you’re opening presents by the fire on Christmas Morning. With the big day tomorrow, we figured we would give you another look for this particular situation. 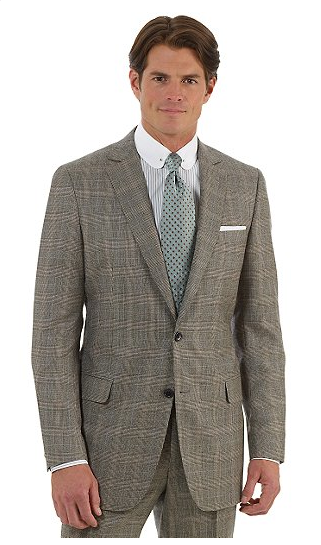 Since fall is here, resist the urge to immediately reach for the plaid pattern. 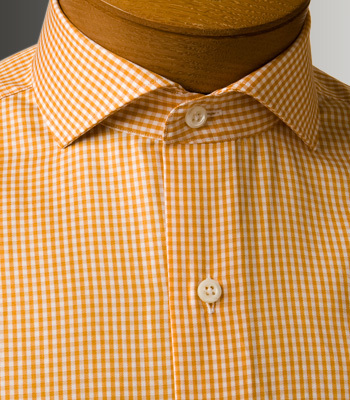 Instead, try a bold yet classy gingham checked shirt. There are many styles and cuts, so be sure to do the appropriate research. Generally speaking, the bigger the check pattern, the bolder the effect. Wide checks provide a powerful presence and physically dwarf their smaller relatives. 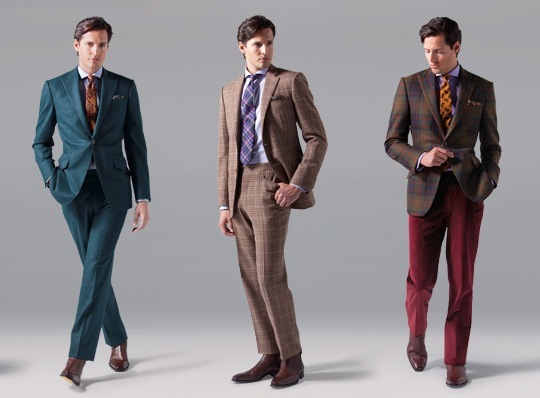 Even better is that they go really well with just about any pair of trousers. 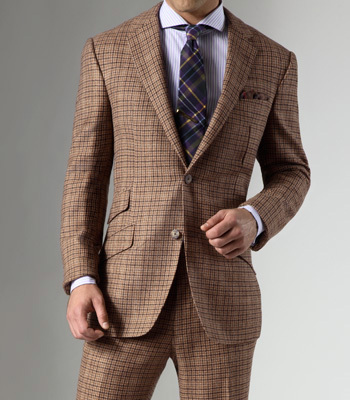 Look for bold colors like red and orange to further enhance your commanding presence this fall. 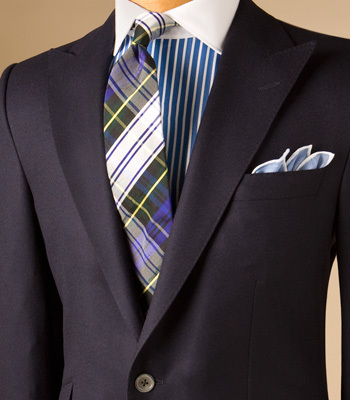 We’re digging anything by Paul Stuart for the perfect balance of boldness and modesty in size and color. The v-neck sweater is something that every man should have in his closet. It can be worn with nearly anything. It’s the classic layering item. 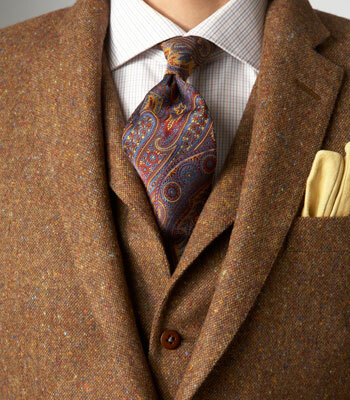 Wear it over a button down and you’re golden. Wear it by itself and you’re fresh. Wear it under a jacket and you’re a stud. But this is something you all should know by now. The real question is which v-neck you should own. Well, it should most definitely be cashmere and it should most definitely be simple (get it in navy or heather grey if this is your first serious sweater). 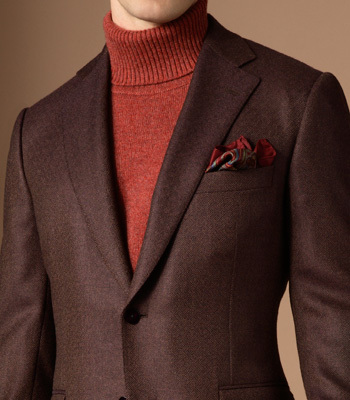 Luckily, Paul Stuart has the perfect cashmere sweater. Just the right sized and shaped v-neck along with the perfect cut and length make it perfect stylistically. You can trust that it’s also some fine cashmere they’re using. And if that doesn’t convince you, this sweater always gets accolades for being the best on the market. So do yourself a favor and get one, but make sure to take care of it. The $448 price tag might seem steep, but it could be your go-to sweater for the next 30 years. 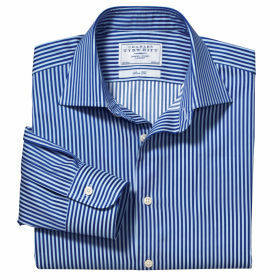 Get yours at Paul Stuart.